Tropical Ranch Botanical Gardens was opened in May of 2006 and is the only botanical garden in Martin County. The gardens were created in accord with Florida-friendly landscape concepts and is now also a certified butterfly sanctuary. When Diane and Jim Haines decided they wanted to open their gardens to the general public to educate them in placing the right plant in the right place, according to the University of Florida’s Florida Friendly Landscaping Program. 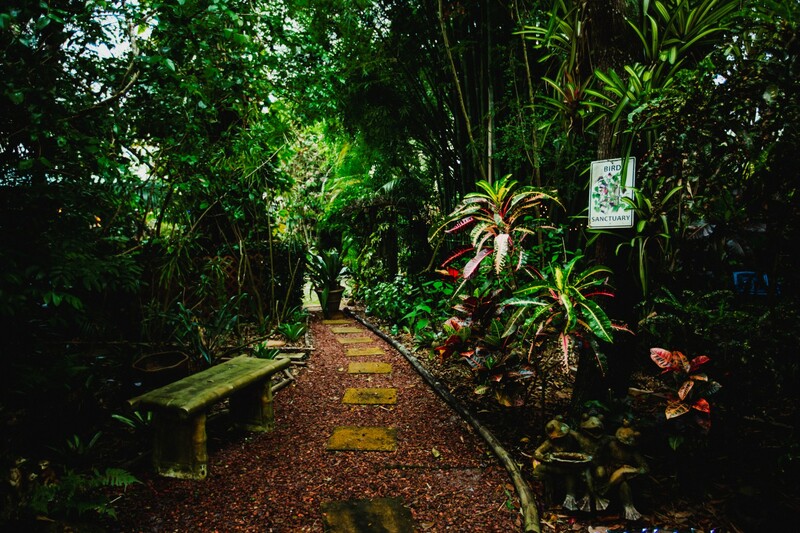 As they are both long-time Florida friendly gardeners, they are fully involved in the best management practices of watering efficiently, fertilizing appropriately, using mulch, attracting wildlife, managing yard pests responsibly, recycling, and reducing storm water runoff. Shortly after opening the Gardens to the public, Diane and Jim realized that here was an excellent place for wedding photographs. One thought followed another and they were soon offering the Gardens for wedding ceremonies. A gazebo was built, chairs were purchased, the first wedding was held and Tropical Ranch Botanical Gardens soon became a popular venue for outdoor ceremonies. Our Garden Gazebo is a perfect place to have your wedding ceremony. In our Reception Garden plan your pre-reception and reception for up to 150 guests. View all our gardens have to offer. 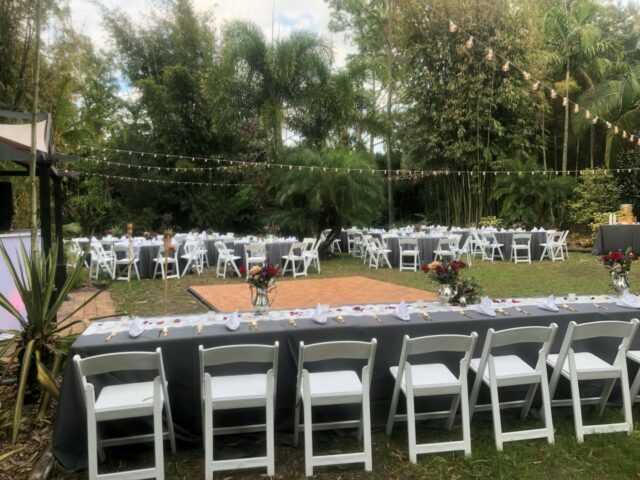 These extensive gardens are the PERFECT site for a wedding and one of the best priced in all of Stuart. 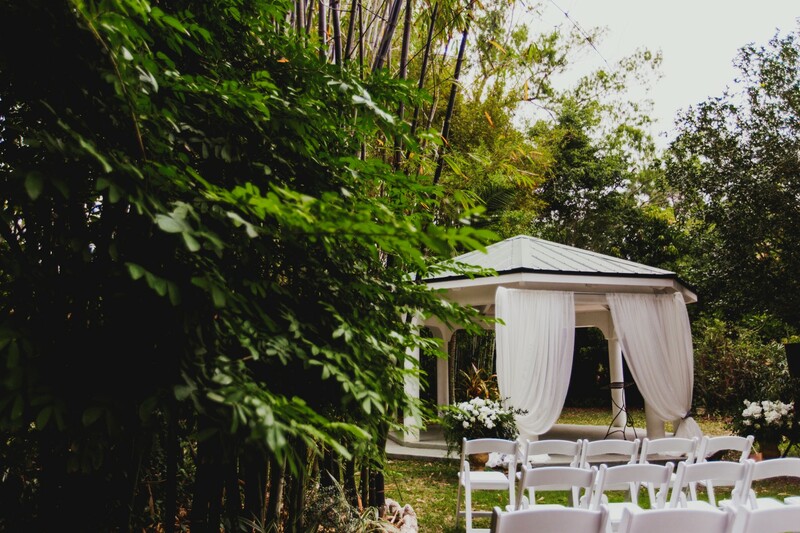 They have a ceremony area with a gazebo, a reception area, a gorgeous entryway, all surrounded by the most luscious greenery! Amazing management and garden, highly recommended. Very private and beautiful. The couple running the place are very awesome and nice. Stunning. Had a great time and I'm sure their pics will be amazing! Must see! Awesome setting. Must be seen. So beautiful & tropical such a great place for a wedding. A beautiful location on the treasure coast to host your ceremony or reception. The owners are the sweetest most caring loving couple. We love this magical garden!! So beautiful. Best wedding venue in Stuart hands down. Beautiful planning our wedding here.